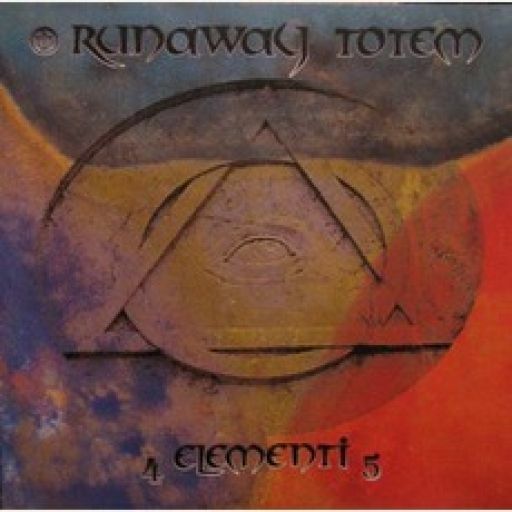 Since their debut in the early 90s, Runaway Totem has always had interesting music to serve up. Their early Black Widow releases were extremely dark and twisted endeavors, while their first for Musea (the highly acclaimed Andromeda), released in '99 turned their sound in a more intense zeuhl-like direction, which they followed for the next couple releases. Now the band (down to a duo of multi-instrumentalists Roberto Gottardi and Germano Morghen since 2002's Pleroma) have parted ways with Musea (except for distribution) and have started their own label in order to experience complete artistic freedom. Esameron comprises the first movement of the larger work 4 Elementi 5, which seems to have exploded their style out in every conceivable direction, covering nearly every path they have traveled before and many new ones previously unknown. Bits of sweltering zeuhlish madness juxtapose with uncompromising bits of alien RIO-like chamber elements and short chaotic flashes of symphonic rock, all filtered through some ancient numerology concepts that I won't even try to explain. The three sidelong tracks and one mid-length piece here are certainly some of the most complex and ambitious compositions that the band has ever presented. Those looking for something completely unusual will definitely find it here!